Quite opposite for NEM rains when compared to SWM’s QBOONI. Means if QBO is in decreasing trend with respect to ONI index’s increasing trend (means if both moving in opposite directions/inversely proportional) during NEM-season, then NEM will be normal/excess and vice-versa. At present QBO is increasing trend along with ONI. As ONI won’t decrease by the end of NEM-2015, then we expect QBO again start decreasing by September/October at least for good comprehensive NEM-2015 rains in the order of 1997-NEM season. In order to receive at least normal NEM-2015 (if not excess) at least November QBO must start decrease (as there is no hope in ONI decrease till spring -2016). When QBO is in decreasing trend with respect to ONI index’s increasing trend (means if both moving in opposite directions/inversely proportional) during SWM-season, then SWM will record less than normal and vice-versa. 2. QBOONI rule utilizes only 2 parameters, QBO & ONI indexes (both can foreseen in accurate in advance). 3. With this powerful QBOONI rule, one can ignore all parameters like MJO, SOI, IOD, NAO, AO, etc. Thus lot of confusion can be avoided. 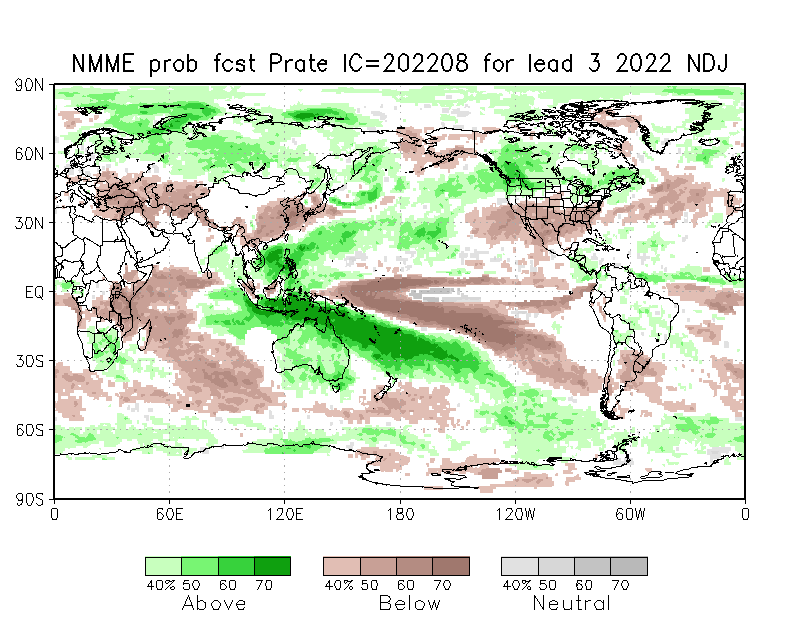 Under favorable QBOONI rule, dynamics will orient in such way to give bountiful rains during NEM/SWM seasons. 4. We can get clear equation in Elnino/Lanina years. But ENSO-neutral years also can get clear cut correlation most of the times. Currently QBOONI does not look favourable for coming NEM season. actually +ve QBO (westerly phase) has half amplitude to -ve QBO (easterly phase). This means +ve QBO can not go beyond +16.0 (as -ve QBO can not go below -32.0 as per the past data, these values may change in future after hundreds of years). Accordingly at present QBO is at +2.0 and so by august it must reach maximam value of +15/+16 in order to start decreasing from September to favor NEM-2015. So hope for the best. 1. In order to become 2016 as Lanina, QBO must start decrease again. 2. The timely decrease in QBO by the time of NEM onset time will decide NEM fate. 3. Even if QBO stabilizes around certain value (without any ups & downs) during October to December with respect to increase in ONI can give normal NEM-2015. NMME forecast for OND period. NMME means north American multi model ensemble forecast? In te below link, we can see the individual model forecast. because nino 4 and nino 3.4 will be warmer than nino 1+2. ( modoki like conditions). Negative NAO is good for NEM. As per forecast it will stay neutral till October and may change to negative during OND period. It may change to negative during OND period. Negative NAO is good for NEM. both AO & NAO display similar sign always I think? Yes. – NAO, -AO, -AAO is good for NEM. So we need to monitor these index. yes, definitive (persistent) -ve values in NAO, AO & AAO is indicative of strong siberean high (SH), which is well documented in the literature. But strong SH doesn’t give good NEM if there is no proper ENSO & IOD signal. This time north India will get strong and more numbers of WDs beginning from November. Will increase in frequency and strength in WD help in strengthening of SH. these WDs are precursor for Lanina-2016 once there ONI index starts decreasing. So will good snow cover in Himalayas this year help in good NEM. Strong el nino with positive IOD gives good NEM but negative IOD is always good for NEM. Negative IOD( BOB warmer than AS) results in good number of systems in BOB during NEM. is this applicable even in elnino year? el nino is associated with positive iod whereas la nina is associated with negative iod. Currently we are having strong el nino so IOD may become positive in coming months. 1. There is high chance for 2 to 3 BOB-systems to strike TN with neutral IOD couples with Elnino (classical/non-classical can be debated later). so NEM-rainfall can reach normal. 2. There is low chance for BOB-systems to stike TN with -ve/neutral IOD couples with Lanina (classical/non-classical can be debated later). so NEM-rainfall can end below normal. non-classical/modoki/central pacific Lanina with -ve IOD. but el nino never happens with negative iod. Negative IOD is the killer of el nino. yes exactly. Even in 1965 IOD turned neutral by the time Elnino onset taken place. this snow cover is like double edge sword. but the timing of snow decides the fate of ENSO when coupled with ONI. 1. winter with good snow early (which ends early to set early summer), which doesn’t disturb land-heat low timing can set the good SWM (in the absence of ONI, it leads to lanina). -NAO is good for negative IOD development and we know negative IOD is good for NEM. how both NAO & IOD interlinked? We have already discussed about NAO and IOd relationship using your thermohaline circulation diagram. Positive NAo helps in positive IOD development and vice versa. arctic ice cover reached lowest due to Elnino. so expecting strong high-pressure forming around arctic, which can result severe winter condition by fall (early winter). So we can expect early starting and early finishing of WD-related snowfall this coming winter to make SWM-2016 seasonal LOW as early possible to ignite timely powerful SWM-2016 express. Yes provided 2016 La nina forecast holds true. It will why b’cos 2009-elnino modoki also followed by strong Lanina in 2010. These strong WDs can make NEM systems to travel in NE. this will be one of the reason for below normal NEM-2015 forecast. to avoid this IOD must stay in firm +ve Mode. During el ninos, cyclogenesis shifts west of 87 E( near TN coast,i.e, SW and South BOB). So it is good for us. I am expecting at least one system to strike TN during coming NEM as IOD will hover near warm neutral or weak positive making BOB active. lets hope 2015 to be at least like 1987 style NEM season if IOD stays at good +ve value. But still there is threat of deviation in N/NE direction though forms near TN coast like in 1965 style (neutral IOD) if IOD doesn’t stay strong +ve. Central indian ocean may remain warm through out this year. It can affect upcoming NEM negatively. The only difference between this year and 1914 is that during 1914 IOD was 0.3 during SO period and -0.2 during ND period whereas as per IOD forecast for 2015, IOD may oscillate between (0.5-0.2) during SO period and may come down to 0.1 during ND period. Rest of the values( QBO, ONI index) is very similar to 1914. SO we can expect normal NEM this year and we may get less number of cyclones but more easterlies during coming NEM season. QBO westerly phase results in less number of cyclones when compared to easterly phase. Currently we are in QBO westerly phase, so we will get less cyclones coming NEM season( similar to 1914). ONI index peaked around +2.5 during NDJ period of 1877. QBO was constant around +10 during OND in 1877. Positive iod emerged in August and peaked in September. It was neutral during JJ period. ONI will peak around +2.5 during NDJ period. QBo will be constant around +10 during OND. Positive IOD may emerge in August and may peak in September. It was neutral during June and July. Coming NEM season cyclogenesis will be happening in SC/SE Arabian sea and near Kerala coast. BOB may stay quiet this time. I am expecting cyclogenesis to take place in Laccadive Sea during coming NEM. System is possible for Chennai coming NEM provided IOD stays neutral. In 1888 which was a strong el nino year with neutral IOD, Cat 3 cyclone made direct landfall over Chennai. Neutral iod may result in good cyclogenesis in BOB during NEM. Massive TS in Machilipatnam radar! As per forecast, QBO will be in very strong westerly phase during NEM, this may result in systems developing in central BOB and travelling in NE direction. JAMTEC expects this scenario to happen during NEM. Coming NEM cyclogenesis may happen near coasts. So cyclone OGNI like systems is possible this time. Current IOD and QBO values exactly matching 1918 iod and qbo values. Even current el nino showing similar trend to 1918 event. Chennai got excess rainfall during NEM in 1918. It got 1275mm during NEM. TN got normal NEM. It was around 486mm. showed stable values around +10 during NEM. As per forecast, IOD will be similar to 1918 values during coming NEM. QBO will show stable trend around +10 during coming NEM. Carl Schreck’s new CFS driven MJO and equatorial wave Hovmoller. It shows a 120 day history and 30 day forecast of 850 hPa zonal wind, the MJO, Equatorial Rossby waves, Kelvin waves, and the low-frequency background/ENSO signal. It also identifies TC genesis during the last 120 days, which is an especially neat feature as it allows one to really visualize the role that the MJO and other modes of tropical variability play in TC activity. Now we can observe mjo, KW, ER wave within single frame. Here’s an interesting link. We can zoom in on Indian Ocean and watch the IOD in real time, same for Pacific, global….can check out SST, SSTAs, SST trends over 7 days, as single images and animations. 1884 is one of the analog for this year. Tamil Nadu likely to get more than 20% of Normal Rainfall this season. The state average might cross 50 CM. North Coastal TN the most beneficiary, and especially Chennai to get excess rainfall this NEM. did you see my SWM 2015 forecast, which is in SWM 2015 page. that too has come well. Good analysis, excellent presentation, have gone through the entire presentation, great effort. 04th page is 1st Page. 03rd page is 2nd page. 02nd page is 04th page. 01st page is 03rd page. Download and read it like that please. Wow. Just wow. Amazing analysis and presentation! Take a bow partha Sir! Superb presentation . Hope it becomes a reality . Wishing for the success of your forecast this year like last year !!! !